America’s largest Group Tour Halloween Party is in Louisville at the end of October 2019! It features The Phantom’s Masquerade, a costumed dinner gala and the original movie “Phantom of the Opera,” The Jack O-Lantern Spectacular & the Crypt Kicker Five, and the finale is a night with the Headless Horseman at Churchill Downs. This is the most interesting and entertaining Halloween Tour ever sold to groups. It’s a Graveyard Smash that should sell-out in a flash. Brown Hotel Package requires $100 Non-Refundable Deposit by January 15, 2019; all other terms are the same as the Crown Plaza policy. Note: This tour requires significant walking at the Jack O’Lantern Spectacular and Derby Museum. Please schedule your group’s arrival for this afternoon. Following hotel check-in, this evening’s 6:00 pm event promises to be great fun. It is a costume party and gala dinner at Louisville’s oldest theater, the Municipal Auditorium. Masks and disguises are encouraged (not required) to build the enthusiasm and provide visual excitement. On arrival, guests will be escorted to their dinner tables located in various rooms throughout the theater. Strolling musicians, Phantom Violinists and Gypsy Dancers will provide entertainment during the meal; cash bar will be available. Today’s activities are scheduled as each group planner desires, it’s an opportunity to put your own personal touch on this tour, but if you prefer we manage it all, there are optional sightseeing tours available and we are happy to add any of these into your tour package for an additional $39 per person. The Suburban Bourbon Trail – The most famous brands of bourbon call Kentucky home. Today, visit two suburban Louisville Distilleries and learn about the history of bourbon in Kentucky, the distillery process and enjoy a tasting. Sluggers of Louisville – Starts with the Louisville Slugger Museum’s fascinating interactive exhibits, with a box lunch included. Then tour the Muhammad Ali Museum; it’s a truly fascinating, high tech display presenting the life of an athlete and a man of conviction. At 5:30 pm, gather in the Crowne Plaza Ballroom for a rock n’ roll, trick-or-treat dinner show. The menu is filled with ghoulish delights, a plated meal with salad, entrée and vegetables ending with a nice slice of Jack O-Lantern Pie for dessert. Dinner is followed by an hour of live music from the costumed “Crypt-Kicker Five” who perform rock songs from the 60’s and 70’s and will have a couple of Halloween numbers ready for you. After dinner and the first music set, all groups depart for Louisville’s Iroquois Park and stroll through the Jack-O-Lantern Spectacular. Country Living magazine called it the “#1 Halloween Event in the Country” and we believe it may well be the highlight of your tour. There are 5,000 carved and illuminated pumpkins along a 1,500 foot promenade through the park. It’s a veritable light show, just imagine the flickering glow from magical displays depicting people, places and scenes, a menagerie from popular culture to old-time favorites and everything in between – all Jack O-Lanterns are completed in painstaking minute detail. The displays are accompanied by music and docents to help you along – it’s both an Artistic and Organic Halloween Gallery like you’ve never seen before. 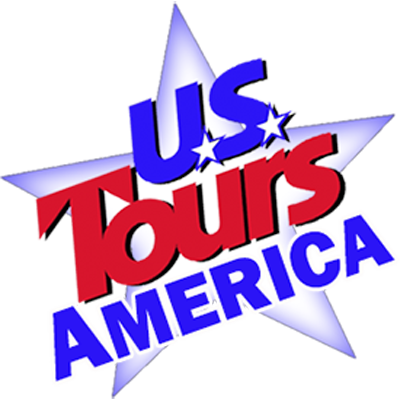 Today’s daylight activities are also scheduled as each group planner desires; again it’s an opportunity to put your own personal touch on the trip by adding another $39 sightseeing tour to your package or creating your own day of fun. Speed Art Museum & Frazier History Museum – Begin at the Frazier History Museum with many unique and historic artifacts spanning a 1,000 years of history including artifacts attributed to Daniel Boone, Theodore Roosevelt, and even Geronimo. . A boxed lunch is included here. Then visit the Speed Art Museum, Kentucky’s oldest and largest with a collection that spans 6,000 years of human creativity and brings art from around the world to all. Indiana Cavern Cruise & Mega Cavern – Start in nearby Corydon, IN with a visit to Indiana Caverns. Here 110 feet underground you enjoy a cruise. Then ride the Louisville Mega Cavern Tram Tour that twists and turns through part of 17 miles of underground passageways beneath the city of Louisville, KY.
Tonight’s Special Event is “The Headless Horseman’s Holiday Party.” Guests will be treated to a haunted tour of Churchill Downs; where perhaps the Horseman may be riding around. This is a behind-the-scenes and beyond-reality tour. It’s like time travel to meet the spirits on the dark side of the track. You hear the legends and lore of both the supernatural and the spooktacular. Visit the Kentucky Derby Museum’s Cemetery and climb to the sixth floor of Churchill Downs (elevators available), where between the twin spires of the world’s most famous Racetrack you learn about her ghosts.